Root canals and dental implants: Is one procedure better than the other? Your teeth have been killing you so you head to the dentist to investigate the pain. After your appointment, your dentist gives you the bad news – you have an infected tooth. At this point, it’s safe to say you’re not jumping for joy. Your dentist will likely give you two treatment options to replace the tooth: a root canal or a dental implant. Torn between options to treat your compromised tooth? Here’s a quick rundown. Hearing the words “root canal” might as well be the sound of nails on a chalkboard. 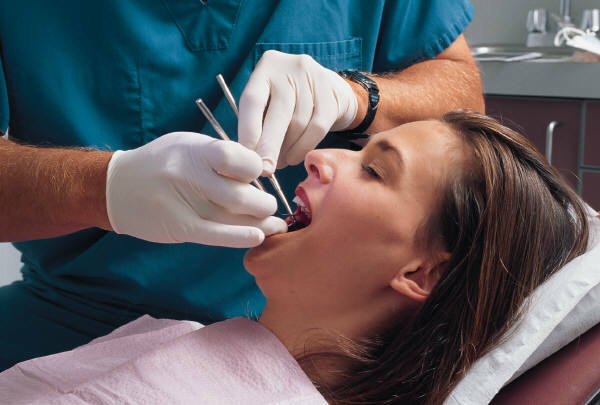 Root canal procedures get their bad rep because decades ago they were painful. But don’t let that outdated stereotype make you cringe! Today, a root canal is no more dramatic than a routine filling. Local anesthetics have been improved and the instruments used to clean the inside of the tooth are very small. Most root canals can be completed in one visit and are nearly painless procedures. During a root canal, your dentist removes the source of your tooth pain, also known as the inflamed pulp. Once the inflamed pulp is removed, the tooth is then cleaned, filled and sealed. Dental implants had been used for decades with mixed success. Just like root canals, dental implants have come a long way since their breakthrough in the 1960s, when researchers explored the use of titanium. Implants require extracting the tooth followed by multiple surgeries to insert a metal post in the jaw and attach a porcelain crown to the post. These surgeries often can take three or more visits to complete, and can be timely and costly. However, if your tooth is severally damaged, an implant might be the best choice. If you feel that dental implants are the best course of action for you then you need to speak to your dentist at your next check-up. In the end, no one procedure is better than the other. In fact, dental implants and root canals yield virtually equal success rates. The decision should be based on the complexity of your case, as well as your preference. Make sure to weigh the pluses and minuses with your dentist. No matter what procedure you choose, both options are sure to make your smile last a lifetime. These are some really good things to know if you are thinking about getting dental implants. I like that you pointed out that dental implants could be done in about three visits. It is nice to know a time line when you are thinking about getting a procedure done like this.